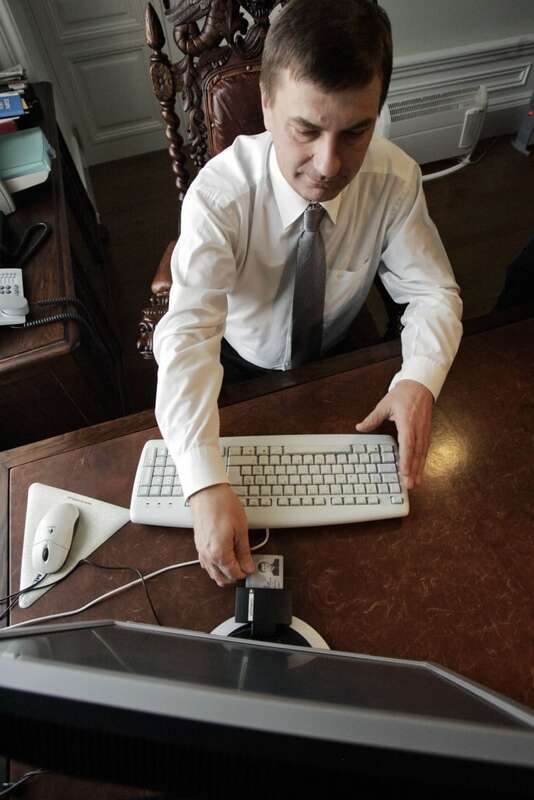 Estonians can vote over the internet in their national elections. In some local British elections, people voted by text message. So why do Canadian elections still happen the centuries-old way — by marking paper ballots and dropping them in a box? Estonians can vote over the internet in their national elections. Brazilians vote using electronic terminals that have Braille on the keypads and that have cut the tabulation time from a month to six hours. Some local British elections have let people vote by text message. It's the year 2015, after all. So why do Canadian elections still happen the centuries-old way — by marking paper ballots and depositing them in a box? Especially when advocates say higher-tech voting methods could make the process more accessible? "There's a number of reasons," said Nicole Goodman, research director at the Centre for E-Democracy and an assistant professor at the University of Toronto's global-affairs school. Goodman has extensively researched internet voting at other levels of government in Canada, particularly municipal elections in Ontario, where in last year's contests 97 local governments out of 414 offered online voting. At the municipal level, Canada is a world leader in voting via the internet, Goodman says. But so far, no province or federal electoral authority has attempted it even in a small trial. "Lack of political will," Goodman said. Elections Canada, by law, has to take its cues on how to run elections from Parliament, and no recent government has made it a priority to introduce potentially radical new voting methods — especially one such as internet balloting that might get whole new demographics, including traditionally non-voting youth, to suddenly take part. Another concern that has held back any internet voting system is security. 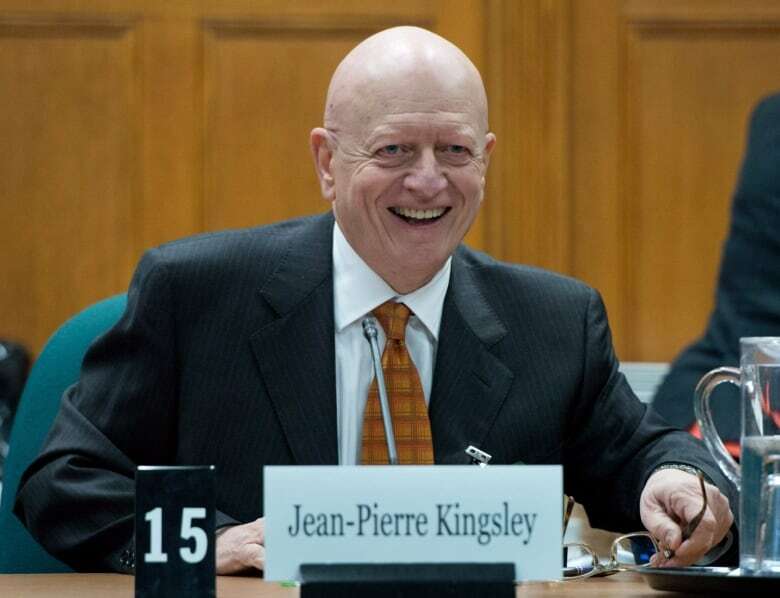 "People want 100 per cent assurance that this cannot be tampered with," said Jean-Pierre Kingsley, Canada's former chief electoral officer. "I'm absolutely sure that we'll be able to find something, but at this stage we're not there yet." For example, during the federal NDP's online voting process that elected Tom Mulcair as leader in 2012, the balloting system was hit with a distributed denial of service, or DDOS, attack by hackers that slowed it down. There is also some evidence that when using electronic voting terminals, ballot secrecy could be compromised if someone employed a form of electronic spying known as Van Eck phreaking. That's where an eavesdropper can read the stray electromagnetic waves given off by a computer and determine what was on screen. Michael McGregor, an assistant professor who studies Canadian political behaviour at Bishop's University in Quebec, said federal elections in Canada are also extremely straightforward because there's only one thing to vote for, namely a local MP. Compare that to the municipal level, where voters typically choose local councillor, a mayor and a school board representative. In the United States, there can be two dozen elected offices up for grabs on the same ballot. "It makes counting much more difficult," he said. "Whereas we have paper voting and we still get the results on election night before we go to bed." Proponents of voting over the internet or via other electronic means say it could result in higher turnout, but it's not so clear, the experts say. At best, McGregor said, the evidence is mixed. He sees internet voting as no different than advanced polls in that "it's not increasing turnout, it's just people who are already voting." Goodman acknowledged the results from around the world are inconclusive, but said her analysis of the 2010 Ontario municipal elections found a 3.5 per cent increase in turnout in municipalities and townships that had online voting. One big question is whether online voting can improve turnout among the citizens who are traditionally the least likely to vote: youth, people with lower levels of education, students and marginalized people. Again, the evidence is mixed. Goodman's data from municipal elections in the Toronto-area municipality of Markham, which has had internet voting since 2003, found that "those aged 35–64 are the strongest internet voting users in all election years and suggest that online ballots are growing in popularity among older voters while use is waning among younger voters." But, she said, there is still a modest proportion of people who previously wouldn't vote who "seem to be encouraged to participate" by internet balloting. 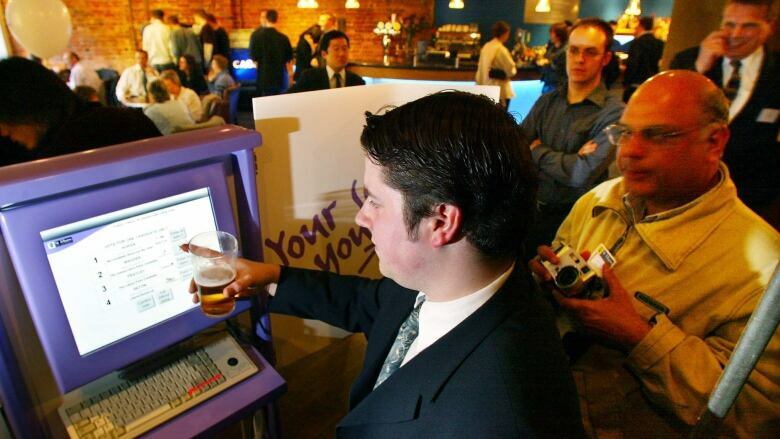 Elections Canada has had electronic voting methods on its radar since at least 1998, when a report by outside consultants suggested it look at voting via the internet or telephone or at electronic kiosks. Spokesperson Diane Benson said the federal agency had proposed back in 2008 to look at mounting a small trial of internet voting at some point. But in examining other jurisdictions' experiences, she said, "it became clear there are challenges to the integrity, verifiability and secrecy of internet voting." The "integrity" problems amount to concerns about people being able to vote free from intimidation or coercion when they're at home on the internet, versus in a private booth in a polling place. The verifiability issue, Benson said, is that it can be difficult to ensure that someone casting an online ballot is who they say. And the secrecy element raises the possibility that someone could intercept a voter's choice as it's being transmitted over the internet. "Until there's a way to address those challenges, we are not going to go forward to Parliament with a proposal," Benson said. Parliament itself has made it more difficult to approve any internet voting pilot project by Elections Canada. It used to just require approval from the procedure committees of the House of Commons and the Senate. But under the Fair Election Act the Conservatives passed last year, it will now require signoff from each of the Commons and Senate as a whole. Any move toward e-voting "would clearly be a fundamental, and some would consider almost radical, change in the way Canadians have voted," Tory MP Tom Lukiwski said last year during a procedure committee debate in explaining the change. "For something of this magnitude, I believe Parliament should be extensively consulted and debate should occur, pure and simple." The NDP's democratic reform critic, Craig Scott, said the government's motive to change the law was to make it more difficult for Elections Canada to even study internet voting. "There's a certain perverse irony that they would add the whole Senate as a filter on whether or not an e-voting pilot project could be undertaken with respect to the House of Commons," Scott said. While there are still major security concerns about online voting, he said, adopting it "will be inevitable" if they can eventually be addressed.